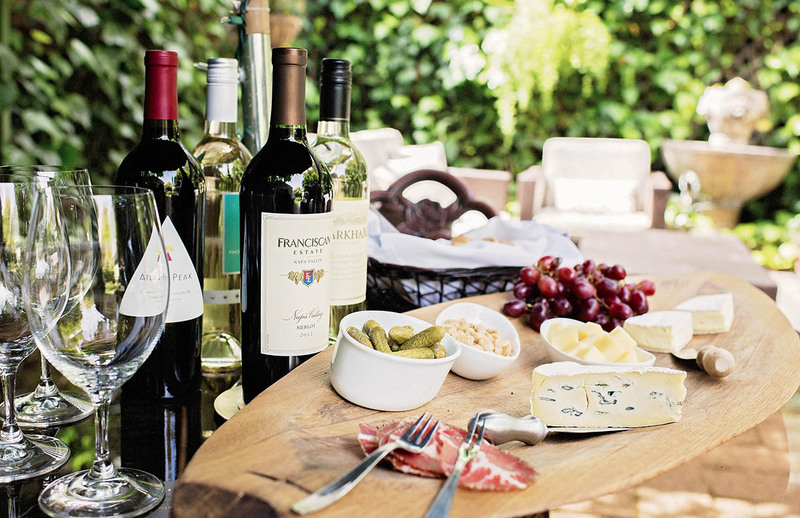 Napa Valley wine and hors d’ oeuvres are served each evening guests can enjoy quality wines, artisan cheese selections, and locally crafted charcuteries. 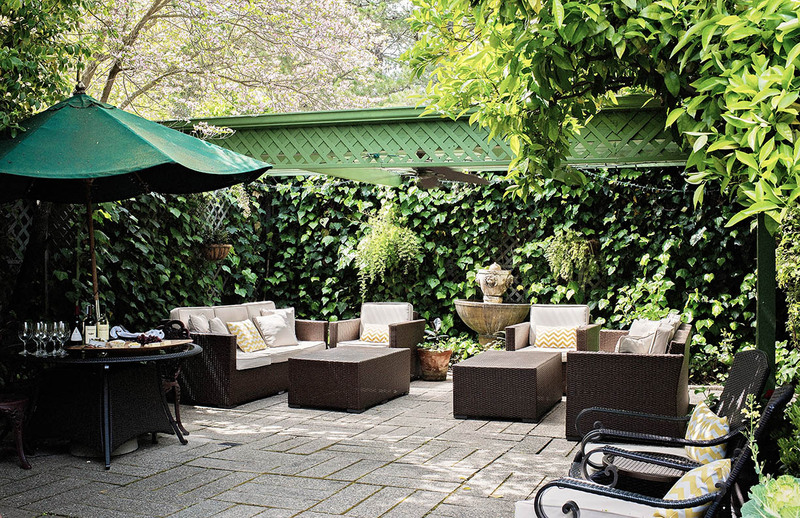 During the warm summer months the social hour is hosted outside on the shaded patio, surrounded by the colorful flowers and the sounds of the trickling fountain. Guests can linger and sample sumptuous appetizers while enjoying the afternoon sun and fresh evening valley breeze. In the cooler winter months, guests can enjoy lively conversation in the candlelit dining room and lounge. The festive hour is often enlivened by private winery tastings, featuring many of the valley’s prized boutique and limited production wines.